You may have them in your cupboards. Maybe, you use them, still. Beware: they are dangerous, illegal, harmful… and are the subject of a recall or ban by the European sanitary authorities. Underneath, you may find all the cosmetic products targeted by the RAPEX alert system this week: a skin lightening product containing a corticosteroid forbidden in cosmetics. 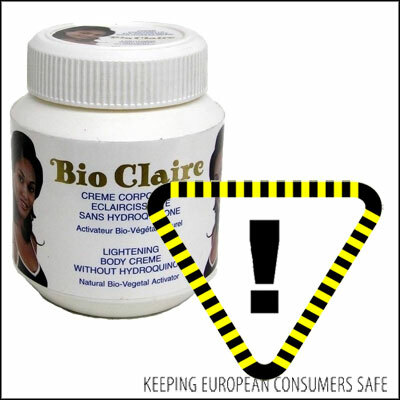 Danger : the product contains clobetasol propionate (measured concentration 0.01 % by weight), which is forbidden in cosmetics. Clobetasol is a corticosteroid that should be applied only if medically prescribed. 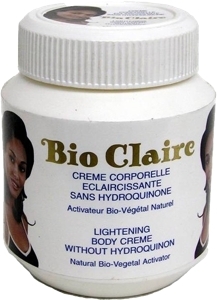 Exposure to it could cause skin irritation and may lead to reproductive and endocrine problems. Measures taken by economic operators: recall of the product from end users, withdrawal of the product from the market (by retailer). • Rapid Alert System - Weekly Reports, Rapport 14, European Commission, 05/04/2019.